Let’s start with the redistribution between OSPF and RIP. Nothing special here, just OSPF and RIP advertising their networks. You can see router R2 has learned RIP and OSPF information. Time for some redistribution action! I a have doubts about the command line redistribute ospf 1 metric 5, specific on the hop counts. I see you set the number to 5, why shouldn’t I put 2,3 or maybe 7,8 etc.?? Is there a rule in which indicate what number should go there? I have seen in a few textbooks and videos that instructors put “random” numbers there without explaining the implication of using a very high number or low. Redistribution is used between different routing protocols, for example EIGRP - OSPF or RIP - OSPF. When you run multi-area OSPF, you don’t need redistribution since areas already share certain LSAs. I need little more help in understanding. in the link you provide it says the following about E1 saying use this when you use multiple ASBR. NOTE: If the metric-type argument is not used, routes will be advertised by default in OSPF as E2 routes. E2 routes have a default fixed cost of 20 associated with them, but this value can be changed with the metric keyword. 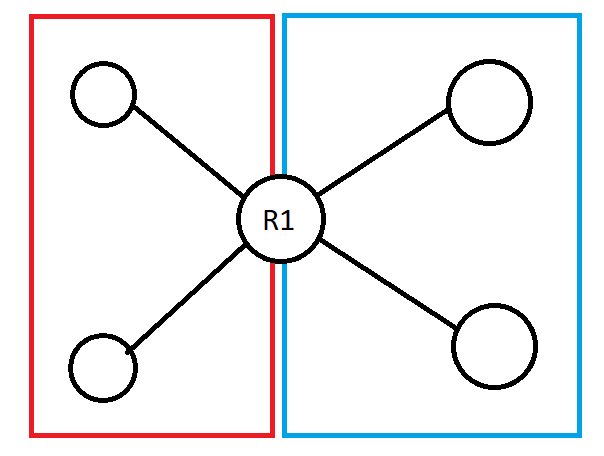 The metric will not change as the route is propagated throughout the OSPF area. E1 routes will have internal area costs added to the seed metric. If you redistribute something into OSPF, the E2 route will have a fixed metric, the E1 route will have a metric that increases throughout the network, it’s the same as with normal OSPF routes. So why do they use E2 vs E1? Let’s look at some examples. Let’s say the red box is OSPF and blue is some other routing protocol.